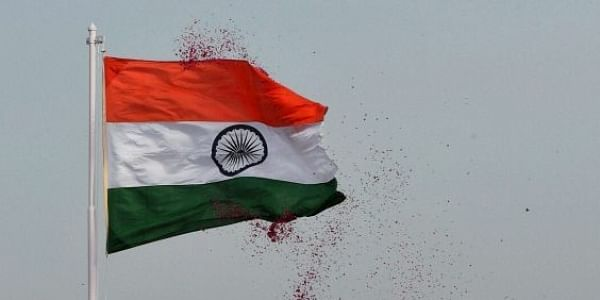 The Shiv Sena workers hoisted the flag in response to Abdullah's challenge who had said it was "not possible to retrieve Pakistan administered part of the state". SRINAGAR: Jammu and Kashmir Police on Wednesday detained a dozen Shiv Sena activists in the city centre Lal Chowk. The Sena workers were trying to hoist the national flag. They shouted slogans against National Conference (NC) President Farooq Abdullah. "If Farooq Abdullah wants to come to power in Jammu and Kashmir he should shun speaking the language of the separatists," they said. The Shiv Sena workers had come from Jammu to hoist the flag in response to Abdullah's challenge. The NC chief had said a few days back that it was "not possible to retrieve Pakistan administered part of the state". He had said that those speaking of liberating the Pakistan administered part should "first try and hoist the national flag at Lal Chowk".